2005 Sterling L7500 High Rail Service Truck. 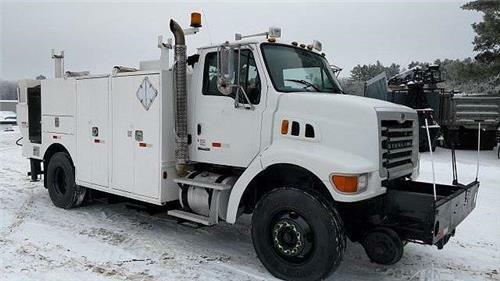 This truck has been fleet maintained and is equipped with a Caterpillar C-7 250hp Engine and has a 10 Speed Transmission. ** Rear Mounted Hose Real, Tool Boxes.